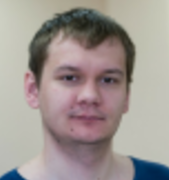 Maksym has been developing and supporting a native mobile app for a TV channel. The app contains lots of media content and has a very attractive user interface. The app integrates various 3rd party components, Apis, and SDKs: - Google ChromeCast - Amazon Mobile Ads - Google Mobile Ads - Nativo - Adobe Mobile - Comscore - Flurry - OmniVirt - Youtube - Vimeo, etc.